Hands On To understand the appeal of the first "Nokia flagship" in three years, the Nokia 8, think of what Google was doing with the Nexus line until it caught "Pixelitis"*. Stock Android, monthly updates, decent imaging, and competitively priced. And really no other frills or gimmicks. The phone does have some Nokia DNA, as it was designed largely in London with a team comprised of several ex-Nokia designers, and it shows. While we're waiting for the UK SIM-free price to be clarified, a global average of €599 means it should be around £100 cheaper SIM-free than the HTC and LG rivals, and £150 cheaper than the Samsung Galaxy S8. Nokia has gone for "as close to stock as possible" here. The Camera app is the only home-grown app on the device, although it's not the only unique technology. The USP is a treat for audiophiles – the phone will capture 360 surround sound in the manner of the £50,000 stereoscopic OZO camera sold partner-not-parent Nokia. How "in the manner of" we'll have to see. Only three years ago the old Nokia was packing some of its phones with a very impressive audio capture subsystem called HAAC (High Amplitude Audio Capture). The dynamic range was so wide it could pick up whispers on a noisy street, as trucks rolled past. Or, it could record a rock band while standing next to the speaker stack, without distortion. 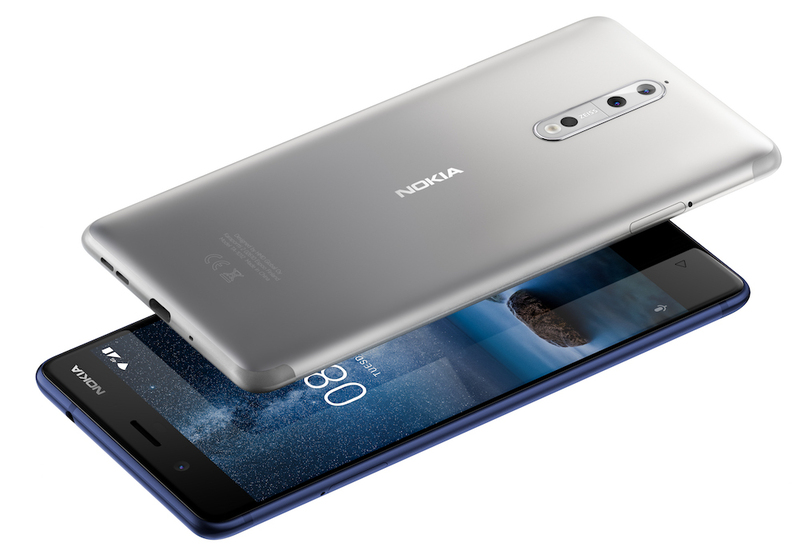 The HMD-era Nokia describes "OZO Audio" as a successor to HAAC, which certainly invites high expectations. HAAC used four custom microphones, while Nokia execs I spoke to merely pointed out that it had specified what mics hardware partner Foxconn should use. Zeiss-certified lenses are back, and the phone will be able to live-stream from both main camera and front-facing camera simultaneously, while the camera shows social media updates. For DIY broadcasters this is great, but you wonder how many others care about taking split-screen (front and back) images or movies. More practically, new Nokia claims to have worked hard to optimise battery life, with a liquid-cooling pipe. "We can run the latest SD harder and longer than what you see on the marketplace today," execs told us. And it should boast superior RF, since the cellular antennae are at the top and bottom, rather than worked into the sides – easy to cover with your hands in normal use, hence "the Death Grip". In a preview, I found the "aggressively" (their description not mine) curved design made the 8 very comfortable to hold and use – and it has real captive buttons, so it doesn't force you to slide up a navigation bar manually. The Nokia 8 is only "splashproof" to a IP54 standard, rather than the more demanding IP67 standards met by the iPhone 7, and even more demanding IP68 tests passed by the Samsung Galaxy S8, LG G6 and HTC U11. There's no wireless charging, something the former Nokia pioneered and used to differentiate itself in 2012, in its Lumias. However, as readers have pointed out under our OnePlus 5 review, cheaper-than-flagship is an unforgiving place to be. If you're going to be paying a lot for a phone, why not pay a bit more? For one reader a Samsung Galaxy "was between 50 and 100 quid more but a quality brand, waterproof, better camera and post processing and nice looking screen". "Consumers simply aren't interested in expensive but not top-end phones. If they want an expensive phone, they're going to pay a little bit more to get all the bells and whistles available, while if they're happy to compromise on features they simply don't want to pay that much. There's a good market for £250 or so and lower phones, and a smaller but profitable market for high-end phones," concluded one. *An affliction in which a phone maker decides to price an industry standard feature set at an exorbitant margin. Caused by the patient wildly overvaluing its own brand.